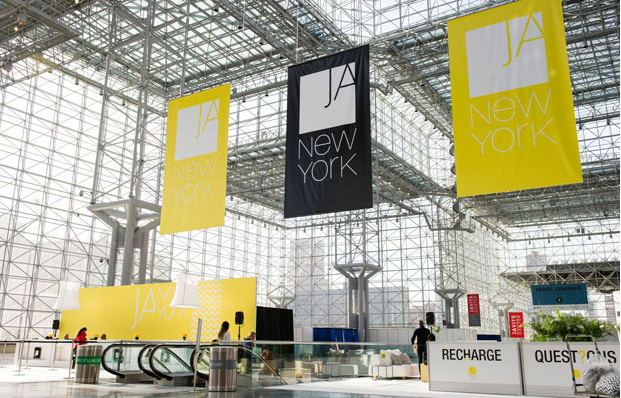 JA Show at The Jacob K Javits Convention Center iN NYC. 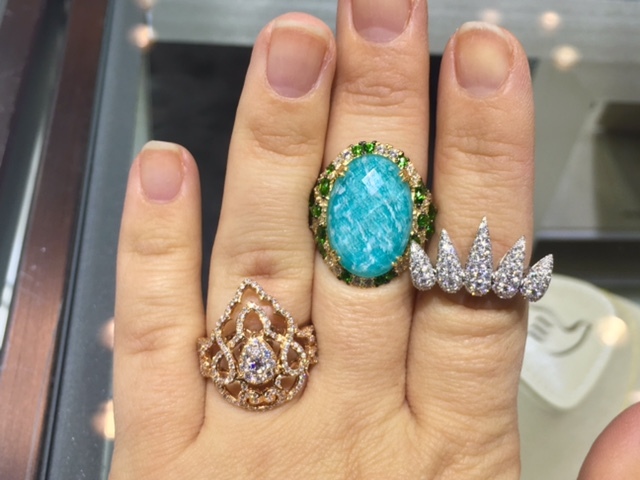 The jewelry shows are one of my favorite events to attend. I spend hours seeing all the latest and most magnificent designs and talking shop with all of the lovely proprietors. 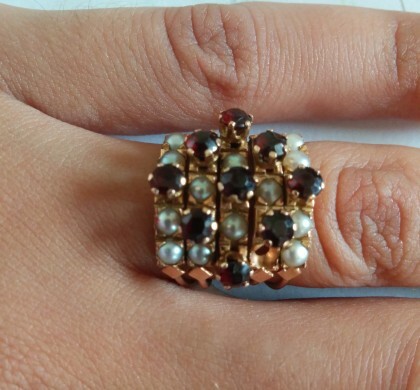 It does not hurt that I also get to play with some seriously amazing jewelry. The shows reaffirm my passion for all things jewelry and always get my creative juices flowing. This show was exciting in particular due to it being three shows combined The Lueur show, The JA Show, and The MSJA show. The show was packed and full of exciting, new, designs. I loved that so many of the designers I met, are manufacturing their jewelry right here in the US. 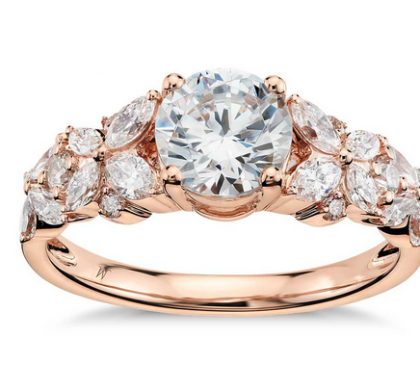 For so long jewelry designers have used overseas manufacturing, so it’s always gratifying to see that American designers are utilizing American resources to produce quality products made right here in their backyards. Speaking of backyards, Jill Herlands, the designer behind Metalurj has a studio a stones throw from the Jacob K. Javits center. Her unique designs feature sterling silver that has been treated using ingredients like salt and ammonia to create fantastical, mad science designs. For those who follow me you might be surprised since Metalurj is generally not the norm of the kind of jewelry I feature, but I absolutely love it’s uniqueness and all the interesting work that goes into it. I am a colored stone lover, especially opaque and phenomenal stones such as moonstone, labradorite, lapis, turquoise etc. 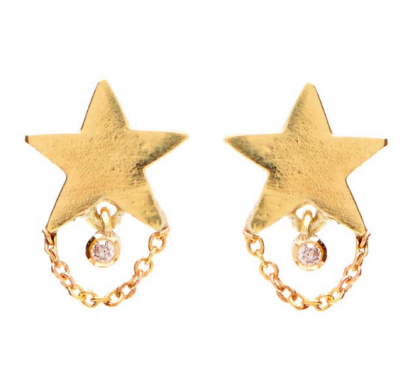 I loved these stones before their recent rise in popularity and I will love them when the next hot thing comes along. 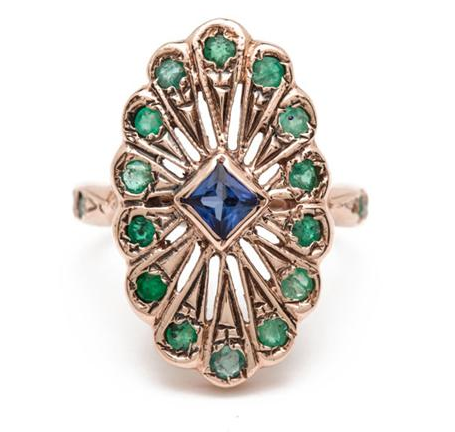 One brand doing really fun and beautiful work with these stones is Doves Jewelry. I love their use of spikes, studs and geometric shapes, as well as classic halos. “Throwing Stones” Black mother of pearl pendant by Zaiken Jewelry. 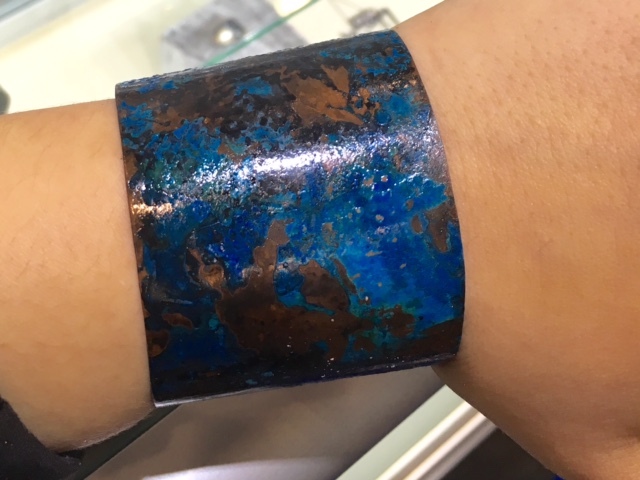 Several months back I met this beauty of a cuff at the AGTA Spectrum Awards press event. It was my intro to the throwing stones collection from Zaiken Jewelry. At the show while making my rounds I was fortunate to stumble onto Malak, the awesome designer behind Zaiken’s booth. 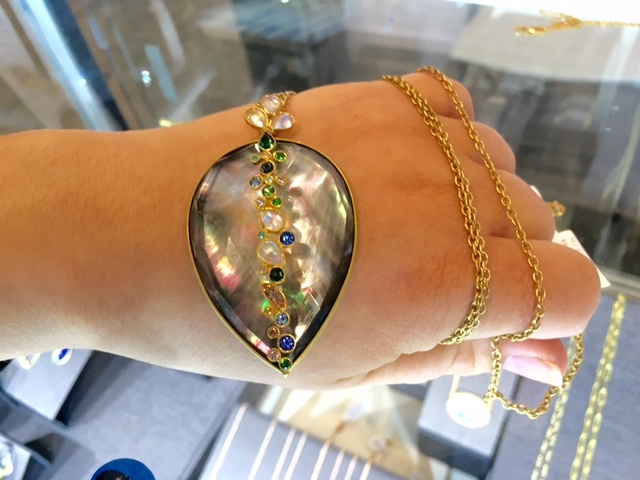 Using 18k gold, semi precious and precious gemstones, the Zaiken line is full of gorgeous of the moment pieces that anyone with a love of clean modern aesthetics will appreciate. The show runs through March 15th and is only open to those in the industry. Emily C Ring Holder Necklace: Genius!